Rabbi Norman Lamm once said that when modernity fights with the liberal movements in Judaism, it is not a fair fight because modernity always win, and that when modernity fights with the right wing of Orthodoxy, it is not a fair fight because the right wing always wins. 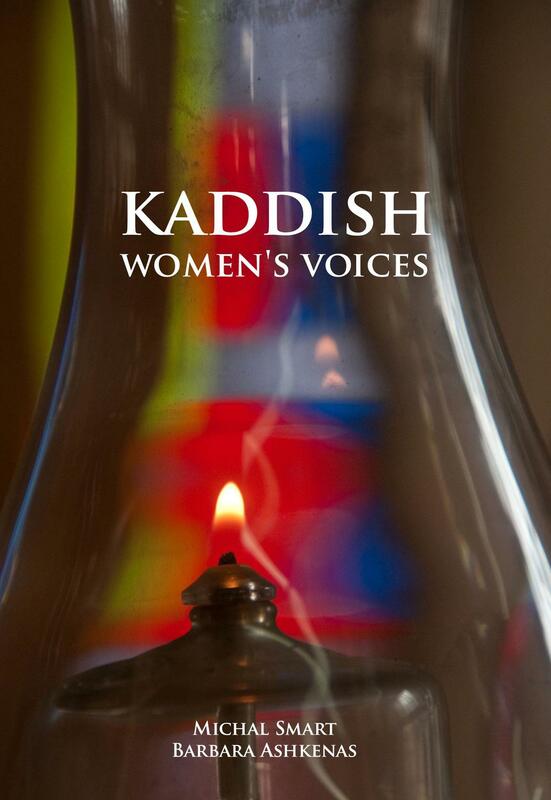 “Kaddish, Women’s Voices” is a book in which modernity fights with modern Orthodoxy, and the results are fascinating. Click photo to download. Caption: The cover of "Kaddish, Women's Voices." Credit: Urim Publications. Fifty-two women write their accounts of what it was like for them to say the Kaddish prayer for their deceased loved ones in the daily minyanim of modern Orthodox synagogues. Two emotions wrestle within these women. One is anger. They were not feminists, and they were not asking for the removal of the mechitza or for the right to lead services. They were only looking for minimal respect for their right to be there and minimal courtesy for their sincere religious yearnings, but they report that in many places they did not receive either. They tell of places where men walked out when they said Kaddish, where the tzedaka box was never carried over to their section, and where they were made to feel unwanted and invisible. They tell what it felt like when the lights were lit in the men’s section, and no one remembered or bothered to light them in the women’s section as well. But anger is not the only, or even the most important, emotion in this book. These women describe, as many men have, the powerful spiritual effect that saying Kaddish every day had on them. And so the testimonies go on. Woman after woman writes about how the experience of saying Kaddish transformed her and inspired her, how it healed her feelings of estrangement from the one she had lost, and how it brought her closer to God and to the Jewish community. Several of them pay tribute to the rabbis who welcomed them, who were kind enough to announce the pages for their sakes, and who made them feel at home by looking over to their section once in a while when they spoke. And the book ends with two beautiful essays by men: one by Rabbi Marc Dratch, who shows how the halachah permits women to say Kaddish, and one by Rabbi Avi Weiss, who tells how his synagogue architecture and his members’ behavior are both designed to give women the respect that they deserve. This is an important book for non-Orthodox Jews to read, for it demonstrates how the stereotype that all Orthodox Jews are intolerant and dismissive of women’s rights is simply not true. And it is an important book for Orthodox Jews to read as well, for it demonstrates that in the struggle between modernity and Orthodoxy, both sides have much to learn from each other. For mourners, and for all Jews who seek to find spiritual strength in their time of loss, this is also an important book. Anyone who reads it will come away with a new appreciation of the power of daily prayer to heal bruised hearts and to give new spirit in time of loss, and with a new appreciation for the way in which modern Orthodox Jews are striving to balance their commitment to tradition with their understanding of the spiritual needs of the women in their midst. What a much-needed book this is! “Kaddish, Women’s Voices,” edited by Michal Smart and Barbara Ashkenas, Urim Publications, Jerusalem and New York, 2013, 270 pages, $27.95. Rabbi Jack Riemer reviews frequently for journals in America and abroad. Posted on September 15, 2013 by JNS.org and filed under Jewish Life, Book Review.